Not sure what a term or acronym means? Check out the Glossary of Scouting Terms to help you out. When can I join Scouts? When and where are Troop Meetings? Are there also Patrol Meetings? Who keeps track of the requirements and ranks that my Son completes? How many merit badges can a Scout work on at one time? What if the requirements for a merit badge or rank change and a Scout has not completed it? Should I call someone if my son can't be at a meeting? If so, who? How can I find out what events and the dates that the Troop is planning? How can parents help with Troop 344? Troop meetings are held at the Pemberville Scout Cabin near the Pemberville Library from 6:30 to 8:00 PM each Tuesday that Eastwood schools are in session. If Eastwood schools are closed or cancelled for any reason, the Troop meeting is also cancelled. During many Troop meetings, there will be time for patrols to meet and conduct business or plan for participation in campouts or future Troop meetings. Patrols may also choose to hold meetings outside of Troop meetings, if necessary to work on projects or other purposes. This is up to the patrol leader of each patrol, who will notify each patrol member if a separate meeting is called. 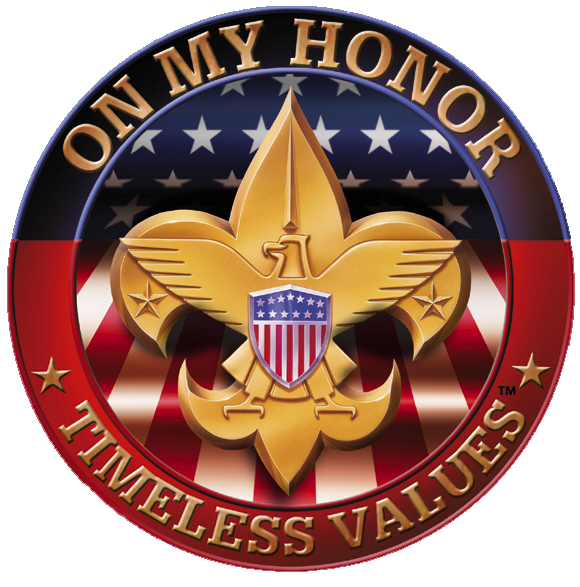 Currently, Troop 344's annual dues are $50 per Scout. This should be paid in full by the first Troop meeting in December. Annual dues covers registration with Boy Scouts of America, accident insurance, a one-year subscription to Boys' Life Magazine, all rank advancement, and merit badge. It also helps pay for fixed costs such as materials and supplies. A Scout joining in mid-year is charged a pro-rated amount based on when he joins. Dues only cover a portion of the costs of running the Troop. There is a charge for most campouts, normally $10 - $15 unless a special event or out-of-town trip is planned. Fees for summer camp are approximately $225. There are small costs involved with activities such as swimming, bowling, or other fun activities. He won't need to purchase a lot of gear to begin his adventure in Boy Scouting. The most important requirements are a sleep system (sleeping bag and ground pad) and a mess kit (or dishes, silverware and mug). For cabin campouts, he may only need a blanket and pillow, but for outdoor campouts he'll need a sleeping bag rated for at least the expected low temperature. A closed-cell foam ground pad (e.g. Ridge Rest) will help block heat loss into the ground. It's also helpful to have a duffel bag or backpack to carry everything in. Troop 344 either provides all other equipment, such as tents and stoves, or can loan gear like compasses. Of course, normal outdoor clothing appropriate for the weather is a must. Look in the Outdoor Skills section for a list of essentials. Troop 344 offer Scouts an opportunity to earn money toward Scouting expenses through participation in fundraising activities. We host a Corn Roast at the Stony Ridge Festival. All of the profit from this event is divided up among the Scouts based upon the hours that they work. This money is placed into the Scout's account to be used toward his Troop expenses. The Troop leadership is willing to discuss additional opportunities for fundraising with any parent willing to organize it. Currently, our big Scout account (and Troop general fund) fundraiser is the Pancake Breakfast during the Pemberville Fair. Participation is expected of all Scouts and parental help is appreciated. It is through this account that Troop equipment is purchased and many events are subsidized to help lower the cost for the boys. The Troop sponsors other fund-raisers from time to time. A Scout Account is a fund held by the Troop but belonging to the Scout, which can be used to pay for Scouting activities and related expenses. A Scout earns money for his Scout account by participating in fundraising activities. Money can also be deposited into the Scout account for convenience. The Scout account can be used to pay for campouts, summer camp, other Troop activities, dues, and high-adventure trips. An account is established for each active Scout and adult Scouter. The Troop Accounts Manager can tell you your balance at any time. All completed requirements and advancement dates are recorded by registered Troop Leaders in the Troop Database and then uploaded to the Members Area of the Troop website. This information is available at any time to a scout or his parents by logging into the Members Area of the Troop website with a provided user name and password. Merit badge cards, as well as rank advancement cards, and special award cards should also be kept by the Scout in a safe place. This documentation may be required to help document the Scout's advancement to Eagle Scout. The Scout should also record his service hours, camping nights and hikes in his Boy Scout Handbook. Some units may impose their own limits, but that is not BSA policy, and therefore, we do not endorse such restrictions. That being said, the idea is to learn about a particular topic through the Merit Badge Program. A boy will be best-served if he strives to complete the work for a badge in a short enough time frame that all of the information/lessons remain relevant. Again, this is at the Scout's discretion. If a boy begins the requirements before the change, he may complete the merit badge or rank under those requirements unless the new requirements state a deadline date. If the Scout has just started the rank or merit badge, he may choose to use the new requirements. He may not however, pick and choose between the old and new requirements. When a boy is finished with the requirements for his next rank, a Scoutmaster conference is required. Along with a Board of Review, these are Scouting's method of checks and balances. In a Scoutmaster Conference, the boy meets one-on-one with either the Scoutmaster or an Assistant Scoutmaster, usually at a Troop meeting or a campout. The Scoutmaster will go through and review to be sure that all of the requirements have been completed and will review with the Scout some of the requirements he has gone through. The Scoutmaster (or Assistant) will also talk about the requirement which speaks to living the Scout Oath and Law in his everyday life. If the Scoutmaster feels that the boy is ready for advancement he will recommend the Scout for a Board of Review. If the Scoutmaster feels that there are any deficiencies, they will be clearly outlined with what needs to be done to correct them, and a follow-up conference date will be set. After a successful Scoutmaster Conference, the next step is for the Scout to schedule a Board of Review. The Board of Review is a conference with members of the Troop Committee. It usually takes place during a Troop meeting, but can also be conducted at a campout or Summer Camp if there enough committee members available. A Board of Review typically follows a Scoutmaster Conference for rank advancement, but may also be requested by the Troop Committee for other reasons, such as to find out why a boy is not advancing. Requests for a Board of Review are directed to the Troop Advancement Chair. The board will spend a few minutes with the Scout discussing the things he had to do to earn this advancement, as well as the Scout's general feelings about the Troop, the program, his goals, etc. This check and balance system allows for the Scouts to be able to openly discuss issues with people they can trust, as well as to be sure that the boys are truly deserving of advancement and not watering down the program. The Troop provides all rank and merit badge patches as part of his annual dues payments. When a boy advances in rank he is considered to hold that rank effective from the Board of Review date. He is formally acknowledged during the next Court of Honor. Traditionally we have two or three Court of Honor ceremonies per year. Rank and Merit Badge patches are handed out at Courts of Honor only. Well, yes and no. We would encourage your son to make that phone call. Everything is a learning experience, even this simple act. He should contact his Patrol Leader. If he is a Patrol Leader, he should contact his Assistant Patrol Leader and the Senior Patrol Leader. A boy who shows up sporadically deprives himself of the chance to make key decisions within his patrol; choose trip ideas and destinations, make menu selections, divide the workload, and build close friendships. Every meeting includes a period of valuable skill instruction and usually fun patrol competitions that relate to the skills taught or an upcoming camping trip. If a boy misses a meeting, he will find himself less prepared for an upcoming weekend in the outdoors. The Troop meetings are where we "learn", but the camping trip is where we reinforce the skills by putting them into practical use. Check the online Troop calendar for the latest updates and to print a monthly calendar. In addition, our Troop newsletter called the “Scout-O-Gram” is published quarterly and sent home with the scouts as well as being posted on the Troop website. Your son's first and most important leader is his Patrol Leader. If there is no satisfaction at the Patrol Leader level, then Senior Patrol Leader should be involved. If no satisfaction is found within the youth leadership, the issue should be brought to the attention of the Scoutmaster or one of his assistants. The final escalation point within the Troop is the Troop Committee. This same process also is in play when disciplinary action needs to be involved. We always try to have the youth leaders police their own issues, if possible. If the Troop is unable to resolve the issue, assistance is available through the Unit Commissioner, who is a district-level volunteer and who can call upon district and council resources. Beginning in 2010, BSA and Troop 344 require the new Annual Health and Medical Record form, which replaces the old Class 1, Class 2 and Class 3 medical forms. The same form is used by both adults and youth. The form has three parts. Part A is the basic declaration of medical information and history. Part C is the informed consent statement and certification signature by the participant or parent. Part A and Part C are completed and submitted to the Troop leadership. They are required for participation in normal Boy Scout activities, such as day hikes, short-term Troop overnight and weekend camping, and other activities of up to 72 hours. Part B is the Physical Examination section and must be completed and signed by a physician. Part B, in addition to Parts A and C, is required for long-term (over 72 hours) and high-adventure camping. With the new form, the physical examination must be completed annually for all participants - both youth and adults. Previously, a parent could recertify a youth physical exam for up to three years following the date of the exam, but this is no longer the case. The Annual Health and Medical Record form is available in PDF format. The fields are fillable on your computer and the completed form can be saved. We advise that you keep the originals and provide copies to the Troop. If you prefer a paper copy, you can obtain one from the Troop leaders. BSA has prepared an informative frequently-asked questions page about the new form. Parents can help in many ways. We always have positions open for Assistant Scoutmasters and Committee Members. There are a number of different committee positions, such as Secretary, Equipment Chair, Adult Training Chair, or Treasurer (to name a few) that require volunteers from the parents. Most positions can have a "shadow" who can assist the primary officer and learn the job. All parents are welcome to register with Boy Scouts of America; the cost is only $12 per year, which includes six bimonthly issues of Scouting Magazine. (There is no charge if you are already registered in another unit, e.g. Cub Scout Pack.) While all parents have a say in committee proceedings, only those registered as Committee Member or Committee Chair have a vote. Parents can also help by remembering that we are a "Boy Led Troop", and letting their son fulfill his requirements on his own is an important part of the growing experience. Youth Protection Training instructs adults in the steps BSA requires to keep our youth safe. It covers a variety of subjects including rules of contact, recognizing and preventing abuse, safe travel, camping, equipment, privacy, and many other subjects. You will learn the rules which all adults in the Scouting program are required to obey. All adults who have contact with youth are required to take Youth Protection Training and remain current by retaking it every two years. This includes any adult who camps with the Troop, drives Scouts to and from campouts or events, or works with Scouts in any capacity (including Merit Badge Counselors). Anyone can take Youth Protection Training - you do not have to be a registered leader. Begin your training by visiting the BSA Online Learning Center. Turn in your certificate of completion to the Troop leaders.